Exercise shouldn’t kill you. Most people would agree with that. But the reality is that exercise does kill, when you’re not prepared, don’t understand the risks, or your fitness level isn’t up to the task. If you’re out in the wilderness, on a rocky hillside, riding the rapids, or up on a mountain, you need a plan, and know what you’re doing, because the mountains don’t care, and hikes can turn deadly. Get a grip. Wear appropriate footwear. Obey trail signs and don’t wander off. Hiking alone in Mexico, 25 year-old Hari Simran Singh Khalsa of Brooklyn, New York, was found dead on January 2. Missing since December 30, his body was found in a ravine near the town of Tepoztlan. Khalsa told his wife that he planned to go on a short hike, and in a later message told her he walked further than intended, and also told friends that he climbed too high onto another mountain by mistake. His family said he died of head injuries from a fall over rough terrain, in the Tepozteco Mountains. 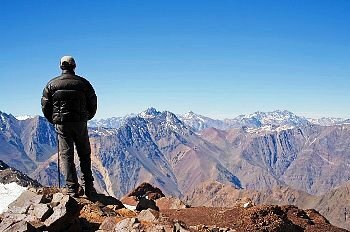 In his last text message to a friend, he said that he was on top of a very high mountain, and not sure how to get down. He had a liter (about 4 cups) of water and a bag of trail mix. Study maps. Know where you’re going, and what to expect. Get in shape. Strengthen your core. Check the weather forecast before you set out. Wear proper clothing, and footwear for the anticipated weather conditions, and terrain.. Carry enough water and food for your trip. As you ascend, make note of your ability to descend. If you think you won’t be able to navigate the terrain safely on the way down, turn around and go back. 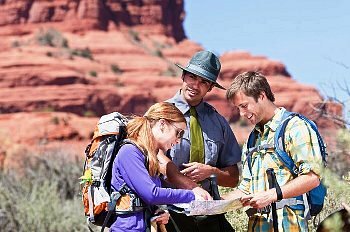 Study maps of the hiking trails before setting out on your trip. Keep in mind that in remote areas, your cell phone is useless. Know what type of wildlife you may encounter. A strong core prevents falls, by stabilizing your spinal muscles. Instead of landing on your head, back, or knees, you’ll remain upright, whether you’re walking on icy pavement in a city street, or engaged in wilderness sports and recreation activities. Here’s a list of related articles about outdoor recreation safety. How To Prevent Hiking Accidents. Martin Burns, a Fox KTTV investigative producer and writer, died on August 25 in a hiking accident in the foothills above Altadena, California. He was 56 years old. Hiking alone in the Los Angeles National Forest, his body was discovered by another hiker, at the bottom of a steep ravine, below the trail that leads to Inspiration Point. When you set out on a hike, one of the most important rules, is not to go alone. If you bring a child, at least one other adult should also go along. Here are two recent stories about disappearing hikers. One has a happy ending, while the other doesn’t look too good. Hiking without cell phones, or flashlights, a 51 year-old man, and his 11 year-old son went missing in Maui, Hawaii. Starting out on the afternoon of Friday, August 9, they were reported missing 5 hours later by a family member. A helicopter and fire personnel searched the area hit by heavy rains. The man and his son were airlifted to safety on August 10. They were very lucky to be found. As of August 5, the search for 66 year-old hiker, Geraldine Largay was called off. Starting out in April, alone on the Appalachian Trail in West Virginia, she covered 950 miles, and disappeared near Mount Katahdin in Maine. Largay was reported missing on July 24, by her husband. Among the 115 search and rescue volunteers, were dog teams, wardens, and searchers on foot and horseback. Getting lost on the trail, especially under extreme weather conditions. Unprepared for changes in the weather. Failure to learn about altered terrain conditions before your hike. Hiking under inadvisable weather conditions. Failure to bring necessary equipment, and equipment for possible emergencies. Be prepared for heat if you’re hiking in the desert. Forego your trip if you know you can’t tolerate heat for long periods of time. Be prepared for missing trail signs. Always bring a map, and a compass to get direction. Bring lightweight clothing that will keep you warm, and raingear to keep you dry. Educate yourself before going out on the trail. Whether it’s a day hike or a longer backpack into the high country, being prepared for your trip keeps your journey uninterrupted and safe.